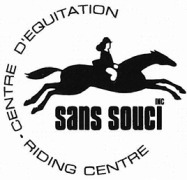 17 Summer Camps in for "Vaudreuil-Dorion, QC"
A bilingual, children's residential camp specializing in the instruction of classical horseback riding. Laurus Summer Camp is Montreal's first and only lifestyle summer camp. The camp is located in the heart of downtown Montreal! Tennis and Sports Camp in the Cote Saint Luc area in Montreal which specializes in positive sports psychology areas so that confidence and self-esteem are enhanced. Campers 8-16 years old. Weekly sports themes introducing a variety of activities and skills. We guarantee fun!